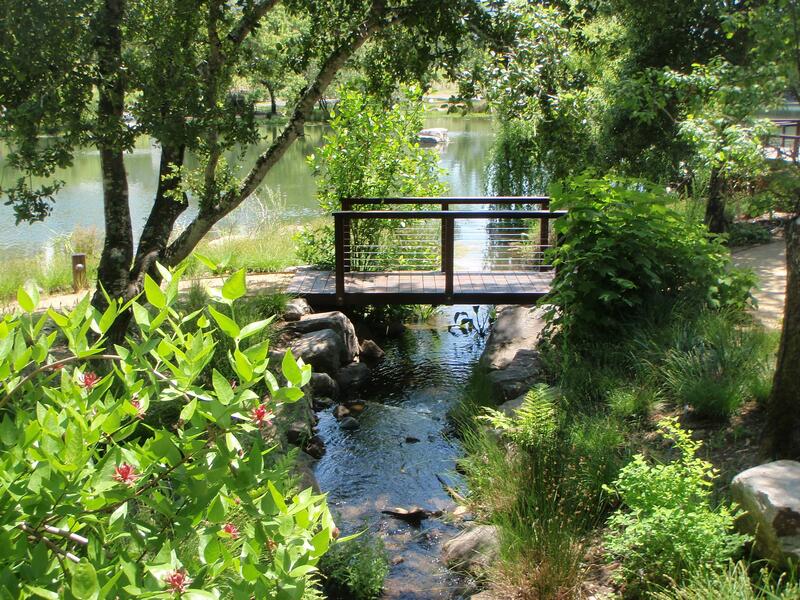 Pond, Stream, and Native Revegetation Design/Build | Prunuske Chatham, Inc.
PCI enlarged and enhanced an existing farm pond to create extensive habitat for native aquatic species as well as recreational features in the Sonoma Valley. 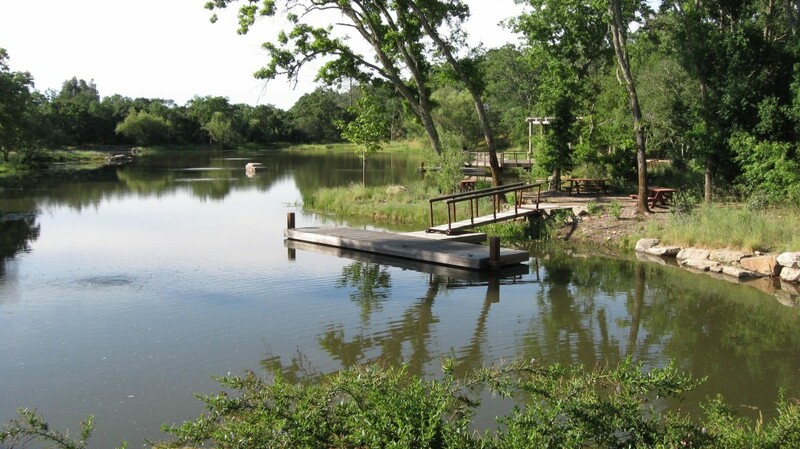 PCI’s landscape architects developed sound, effective riparian and wetland restoration methods that also blend into the surrounding landscape and are aesthetically pleasing. The creek restoration included design and reconstruction of 275 linear feet of stream channel, and the construction of floodplains, boulder sills, boulder cross vanes, roughened riffles, pools, a rootwad and log habitat structure, erosion control measures and native revegetation. PCI also designed and built ranch road improvements, installed a vehicle bridge, designed and implemented blue oak woodland restoration in adjacent uplands, and created an insectary planting. © 2019 Prunuske Chatham, Inc.